We are currently in Portree on the island of Skye off of the west coast of Scotland. We set off early this morning on our drive to Skye. Enjoying some beautiful views of Dunrobin Castle on a quick stop, as well as calm lochs and some snow-capped mountains, we meandered cross country from Dingwall to Achnasheen, then passed Stromeferry on our way to Plockton. 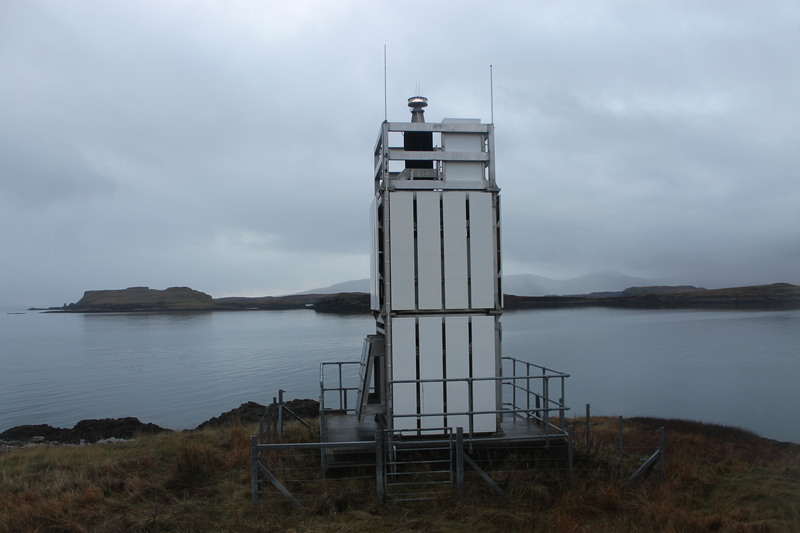 We hoped to be able to get a sighting of the lighthouse on Eilean a’Chait, a small island north of Plockton. We’ll have to revisit this one though, preferably by boat when they start running their seal watching boat trips next year. 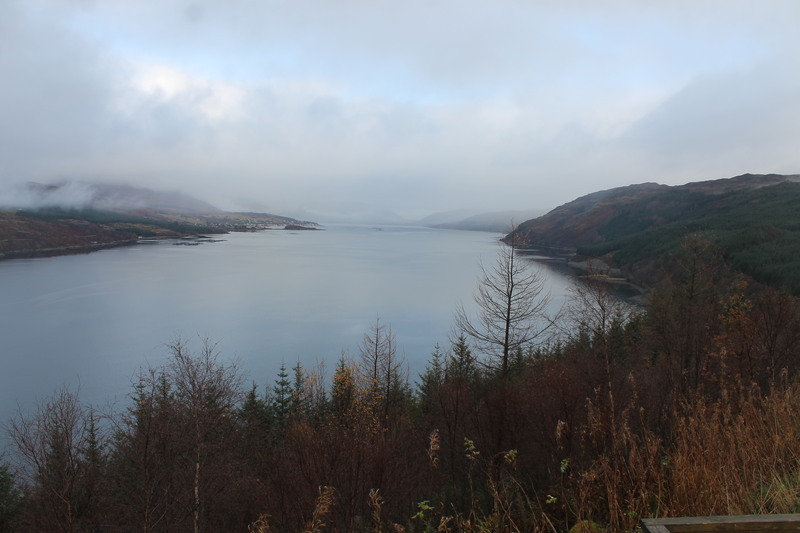 Once we’d finished up in Plockton we drove on to Kyle of Lochalsh where the bridge over to Skye is located. Just before we crossed the bridge we pulled over onto the side of the road to see if we could get a look at Eilean Ban lighthouse, which stands on a small island under the bridge. I’d been very lucky when I first visited in that there had been gardeners working on the island and the gate was unlocked so I crept on in. This time the gate was locked though, so we wandered along the bridge and had a look at it from above. It’s not possible to see the lighthouse while driving, but very easy to spot from the pavement – if you make sure you look over the north side of the bridge! We dragged ourselves away from the lighthouse and drove on across the bridge. Our first stop on Skye was Kylerhea. I’d visited Kylerhea where the ferry to Glenelg leaves from last year on my month-long tour to see the lighthouse over the other side of Kyle Rhea at Glenelg. Having looked at the OS mapping software, I noticed that there was actually another lighthouse at Kylerhea a short distance up the coast from where the ferry leaves. I am still a little confused by the light at Glenelg though as it looks very much like a lighthouse – or a large beacon, at least – but it doesn’t seem to appear on the OS maps. I’ll have to look into this one a bit more. 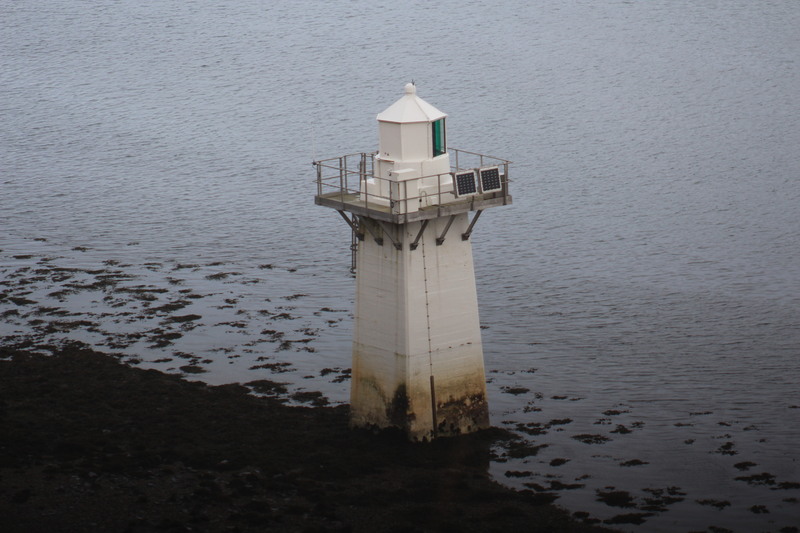 We did, however, manage to spot the Kylerhea lighthouse on the approach road to the ferry, so we then headed a short distance in land and walked from the car park up the road to Otter Haven, which offers some great views of the lighthouse. We spent a short time in the hide before moving on (past the ‘foothpath closed’ sign). We soon realised why the footpath was closed as we reached a small section of path which involved stepping over a small waterfall and then immediately clambering up a short, but very steep slope – and obviously we would have had to come back down too. As it had just been raining and it all looked quite wet and slippery we decided to settle for the views we had got from the hide. On the way to our next location we stopped at Beinn Na Caillich Café in Broadford where Bob ordered a haggis and cheese panini and I went for the same ingredients on a jacket potato instead! We continued our journey onwards to Ardtreck Point for our final lighthouse of the day. We debated whether to try to reach it or not as we were worried about it getting dark, but decided to give it a try anyway and keep an eye on the light. We parked up in Ardtreck and followed the white signs guiding us to the lighthouse and broch. The path was a little wet in places, but we stopped to take photos briefly at the broch and then moved on to the lighthouse. A short time later we spotted it and noticed it was one of the (what I call) ‘Ikea flat-pack’ lighthouses, like the one at Loch Eriboll. They’re not quite as inspiring and beautiful as the Stevenson-type lighthouses in Scotland, but it was such a quiet and beautiful place. 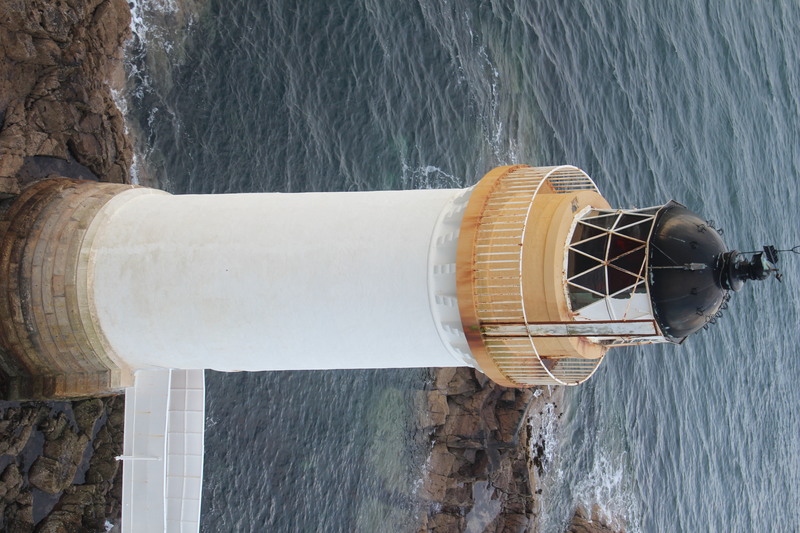 It was a great place to visit and, of course, to see another lighthouse that Scotland has to offer. As we were walking back we saw the round, red sun going down below the horizon and we made it back to the car at just the right time. On the way to Portree tonight we stopped on the other side of Loch Harport and could see the lighthouse flashing with a beautiful reflection of the light on the calm loch.